First thing’s first. Gotta load up on snow gear. I’ve always borrowed from friends or my mom and now I gotta finally break down and buy it for myself. It’s cool. My bestie works at Columbia Sportswear and I get a friends and family discount. Word up. It’s still ridiculously expensive, but it really is the best. I got snow pants, snow boots, gloves, and an awesome jacket for about $250. I will keep renting skis and boots for now. 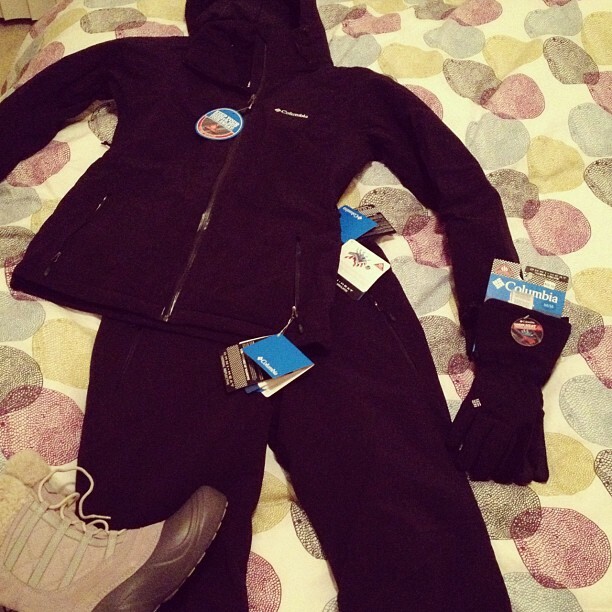 This entry was posted in snow sports and tagged boots, columbia sportswear, gloves, jacket, snow, snow gear, snow sports. Bookmark the permalink.